On Sunday's two-hour Once Upon a Time season 5 finale (episode 22 "Only You" and episode 23 "An Untold Story"), Regina (Lana Parrilla) wrestles with her inner demons as she reels from Robin's (Sean Maguire) death, but when the heroes discover Gold (Robert Carlyle) has stolen Hades' Olympian Crystal and tethered all of Storybrooke’s magic to it, they set out to stop him. Henry (Jared Gilmore) decides he no longer can stand all the pain magic has caused his family, so he goes on a dangerous rogue mission to destroy magic once and for all. 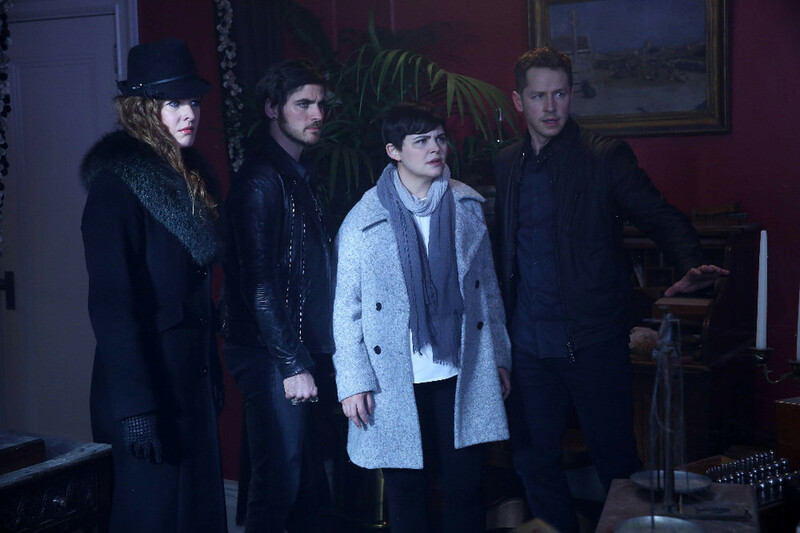 Meanwhile, Zelena (Rebecca Mader), Snow (Ginnifer Goodwin), David (Josh Dallas) and Hook (Colin O'Donoghue) attempt to open a portal that will return Merida and the other Storybrooke guests to their homes, but things go awry, and the group winds up in a deranged new world. In the sneak peeks below, after Robin's funeral, Emma (Jennifer Morrison) finds Regina and attempts to gently break the news of Hook's return to Storybrooke, but before she's able to, Hook enters. 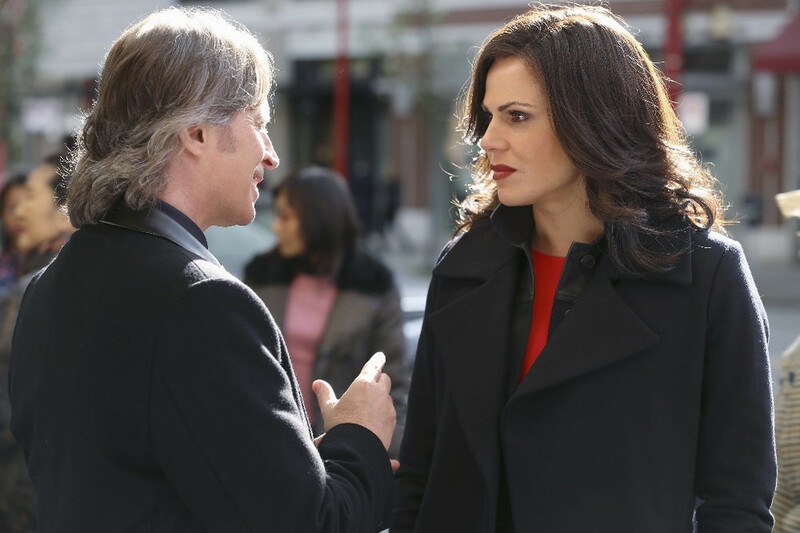 Regina also isn't too happy when Emma asks her to sit out while they go find Gold and the crystal. Watch the sneak peek spoilers and tune in SUNDAY MAY 15 7|6c for the season 5 finale! Missed this week's episode? Catch up with the recap for episode 21 "Last Rites" here! Watch the two-hour Once Upon a Time season 5 finale SUNDAY MAY 15 7|6c.